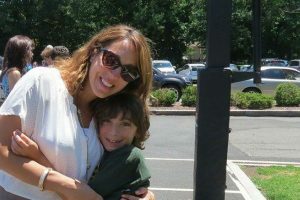 Law in the News Category Archives — New Jersey Divorce Lawyer Blog Published by New Jersey Divorce Lawyers — Aretsky Law Group, P.C. May 1 has been proclaimed Law Day by every President of the United States since Dwight D. Eisenhower. It is observed throughout the nation as a day to celebrate the freedoms we enjoy, to reflect upon the ideals of liberty and justice that we hold dear, and to instill—especially in young people—an abiding respect for the law. Marcia K. Werner of Aretsky Law Group, P.C., located in Hackensack, NJ, has been named Professional Lawyer of the Year for 2016 by the Bergen County Bar Association and the New Jersey Commission on Professionalism in the Law. This prestigious award is bestowed annually upon lawyers throughout the state whose “conduct, competence and demeanor set a positive example for others in the legal profession.” It is presented in the memory of the Honorable Peter Ciolino. The award is granted in memory of the distinguished jurist and attorney whose nearly 50-year career left an indelible impression on the legal profession in New Jersey. The award presentation dinner was held on October 20, 2016 at Seasons in Washington Township, New Jersey. 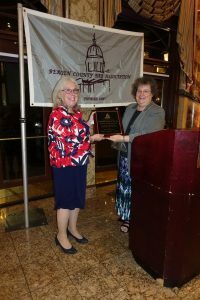 Ms. Werner received the Commission on Professionalism in the Law’s Professional Lawyer of the Year Award during a ceremony on November 3, 2016 at the Imperia in Somerset. N.J. The Commission bestows the Professional Lawyer of the Year award annually to one lawyer from each county bar association across the state, as well from each affinity bar association in the state. Ms. Werner is widely respected, having served as President of the Bergen County Bar Foundation, as Vice-President of Women Lawyers in Bergen, and as a Trustee of the Bergen County Bar Association. Aretsky Law Group is honored that one of its dedicated attorneys, Natalie Esposito Capano, will be volunteering her time and expertise to neighboring New Jersey schools as a way to encourage this year’s observance of Law Day. Law Day is not a government holiday, but beginning in 1958, the first of May has been officially declared Law Day by every President of the United States. On May 2nd, Ms. Capano will speak to various groups of students at Brookside School in Allendale, NJ, as well as with justice-studies students at Montclair State University. The subject of both presentations will be Miranda: Not Just Words, which is the theme of Law Day 2016. It was selected to commemorate the 50th anniversary of the Supreme Court decision that resulted in the requirement that law enforcement officials warn those in custody of their rights. What is Law Day? Law Day is observed in many communities throughout the United States as a day to appreciate our American heritage of liberty, justice and equality under the law. It is a day to reflect on the importance of the rule of law in our society and to reflect on how fortunate we are to live in a nation that affords us the rights and protections under those laws. 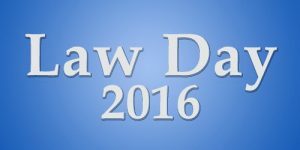 This 2016 year, Law Day will focus its theme on our “Miranda” Rights. Law Day is not a holiday; it is an observance. Banks, post offices, and government offices do not close. Neither do schools. In fact, many Law Day activities focus on education. We see yearly writing contests, art contests, and other competitions and activities centered around the theme of the law for that year. Special Law Day programs are also held. An example is the one sponsored yearly by the Superior Court of New Jersey, Essex Vicinage. Some school districts invite attorneys to their classrooms to discuss their particular area of expertise: Criminal Law, Domestic Violence issues or other Family Law matters, etc. The first Law Day was observed on May 1, 1958. It was proclaimed by President Eisenhower to celebrate our legal system and honor the importance of the rule of law in the founding of our nation. Three years later–in April 1961—the United States Congress passed a joint resolution recognizing May 1 as Law Day.